Where do you see yourself and career at Datamax? Before you dart for one of our openings, take a peek at some of the benefits you can expect! We're looking for driven, focused, and talented Account Executive to introduce, develop and sell office technology within an assigned geographic territory. This person will be responsible for developing needs analysis by evaluating client document workflows and recommending technology-based solutions that result in measurable productivity enhancements, cost savings, and raving fan customers. We're looking for a driven, focused, and talented IT Sales Consultant / Account Manager to introduce our Technology Management Services (which can involve hardware, software, and/or professional services / consulting solutions) to targeted accounts located in the Little Rock / North Little Rock plus surrounding areas. Datamax is a long standing Microsoft Gold Partner in Arkansas and Texas. We're looking for an experienced and talented Network Engineer to support our Technology Management Services (which can involve hardware, software, and/or professional services / consulting solutions) within accounts located in Central Arkansas. We're looking for a self-motivated individual that are interested in an exciting career with today’s latest office equipment technology. 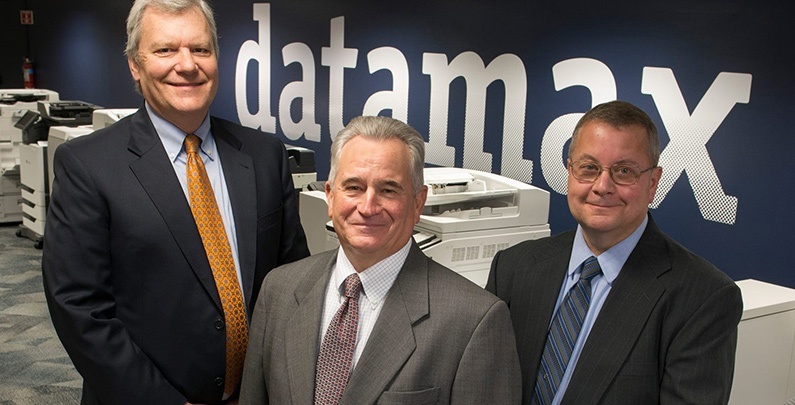 Datamax is one of the largest suppliers of copiers, faxes, and printers in the state of Arkansas. We are looking for candidates with electronic backgrounds to service our state of the art technology in our customer locations throughout Central Arkansas. Datamax is looking for a self-motivated individual that is highly detailed oriented to focus on billing along with various administrative tasks. Datamax will provide the tools, training, and support if you can provide the desire, dependability, customer service skills and drive it takes to be the best. Previous billing experience is not required. We are seeking an experienced Laserfiche Technology Specialist who is able to incorporate exceptional customer service, technical acumen, and troubleshooting knowledge to CARE for Datamax's growing customer base. It is the responsibility of a Laserfiche Support Specialist to effectively communicate with customers and internal team members. We are looking for an experienced Technology Specialist who will support our customer’s by remotely diagnosing, troubleshooting, resolving hardware / software issues and other network and/or system problems. It is the responsibility of a Technology Specialist to effectively communicate with customers and internal team members. We are looking for a driven, focused, and talented Technology Services Outside Sales Consultant for the D/FW Metroplex and surrounding areas. This position will be calling on executive level (CEO, CFO, President, etc.) prospects to introduce our Business Process and Strategic Technology Solutions. Creating a foundation for success. At Datamax, it’s our people who create the foundation for our success. No question about it! We attract talented professionals who have an aptitude for learning, are technically-savvy and believe in providing a total client experience. Our people thrive in our visionary environment that promotes collaboration and strategic thinking among individuals of diverse backgrounds and experiences. It is this atmosphere that cultivates satisfaction among our employees—in fact, many of them have been with Datamax for a decade or more. Datamax is an Equal Opportunity Employeer.